Thank you for visiting 14th Road Parkway Service Center, the hi-tech repair shop with the neighborhood feel. Conveniently located just off the Cross Island Parkway, in Whitestone, we are your best source for professional and reliable automotive service and repair. 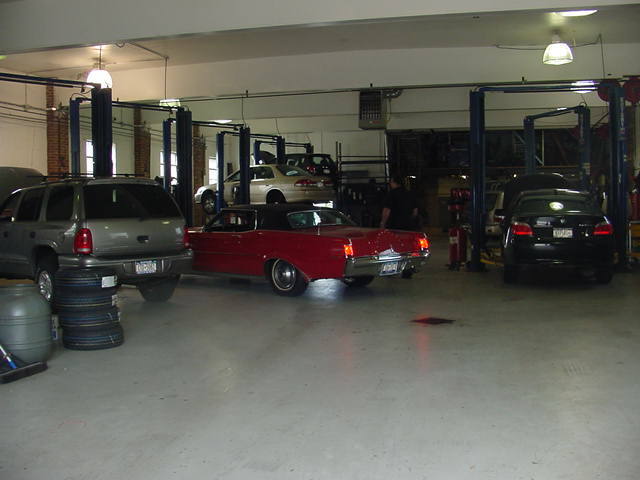 Established in 1985, 14th Road Parkway’s highly skilled technicians offer decades of comprehensive knowledge and experience. You can be sure that your car or light truck will be diagnosed properly with the latest electronic equipment and that all of your vehicle’s needs will be explained to you in detail in layman’s terms. No repairs or services will ever be performed without your prior approval. We service and repair both foreign and domestic cars and light trucks including all of the major brands. For your convenience, we can provide you with a ride to work or back home if it is within 5 miles of our shop. Then when your vehicle is finished we can come pick you up if need be. We can also locate a low cost rental car if one is necessary. Our goal is to provide the best service at the best rates in the most timely manner. We guarantee your satisfaction with all of our services.